Solutions include pre-made pouch packaging solutions for mini sweet peppers, vertical form fill and seal bagging for cut greens; container filling for diced vegetables and filling wicket bags for apple packaging. Our packaging machines are specifically designed to handle all your fruit and vegetable packaging needs. 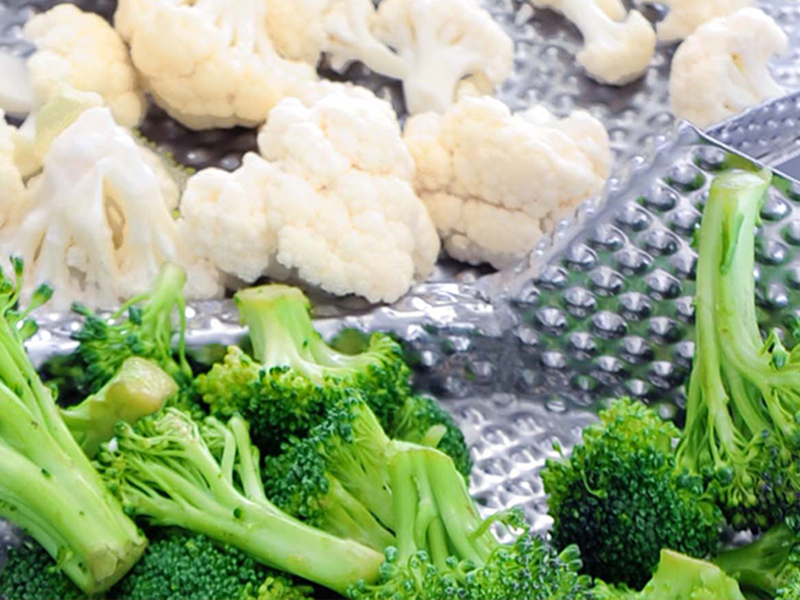 The most advanced combination scale on the market today for fresh produce packaging. The PrimoCombi™ can be outfitted with options to protect delicate fresh produce products from damage caused by high speeds. Pair it with our dual discharge chutes for the perfect semi-automatic packaging process. Operate manually with a foot-pedal or automatically through pre-programmed chutes. The container indexing conveyor is the perfect solution for filling your delicate fresh produce packaging needs. 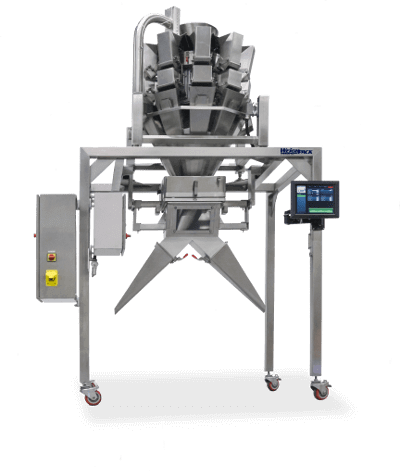 Equipped with no-container no-fill sensors, this conveyor can easily be paired up with our combination scale and / or linear net weigher for a complete packaging solution designed for container filling. 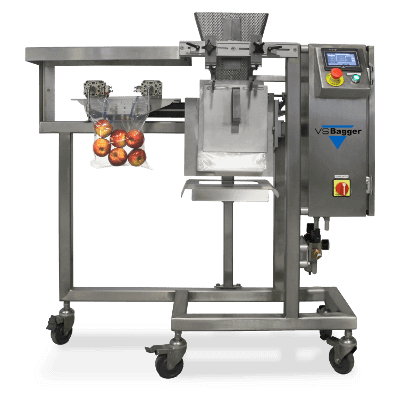 The Swifty Bagger™ for pre-made pouches is a great solution for fresh produce packaging applications. It is versatile and easy to use with many features that simplifies your automatic packaging process. Available in different models, the Swifty Bagger™ can fill carry handle pouches, stand-up bags, gusset, flat bottom, with or without zipper closure. 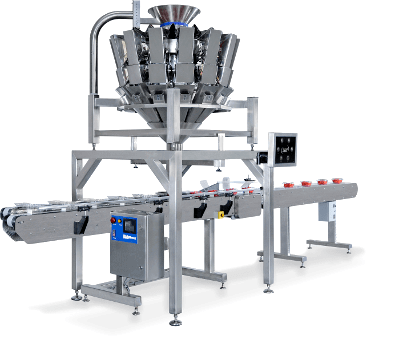 With so many great features designed for fresh produce packaging, owning a WeighPack vertical form fill and seal bagger is beyond easy. Our automatic bagging machines are as efficient as they are effective. 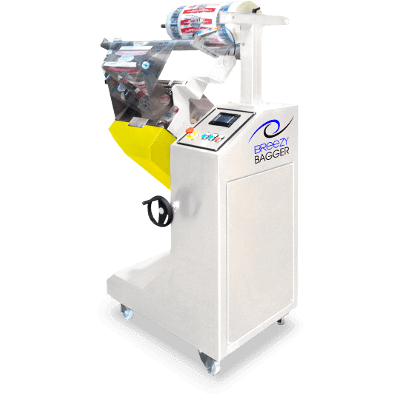 The Breezy Bagger™ is a great fit for your fresh produce packaging needs because of its self-adjusting feature that seals the bag according to the volume and length of the product in the bag. From 3 to 36 inches! It’s unique pivoting design allows the user to operate both horizontally like a conventional flow wrapper or inclined for the vertical drops. Switch from flow wrapping to vertical bagging with a simple turn of a hand wheel. WeighPack’s solutions for wicketed bagging for fresh produce packaging are compact, simple, and effective.